All the advertisements and childbirth books out there make breastfeeding seem super easy. Often we see images of a perfectly dressed and comfortable mother nursing her child. 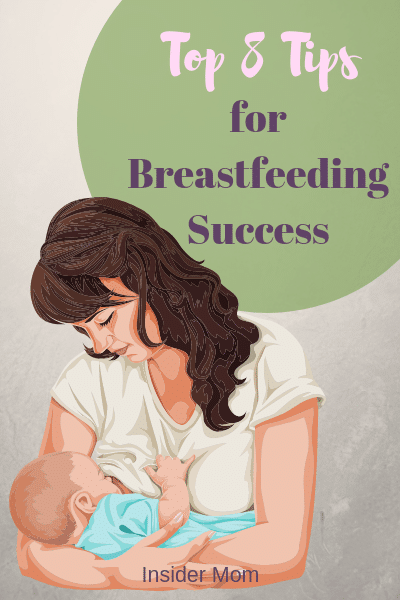 While breastfeeding can get to the point where it becomes second nature and is comfortable and easy, the reality is that starting out, it isn’t always that simple. Becoming knowledgeable about breastfeeding can really help you through the various stages, especially in the beginning. If you haven’t taken one prenatally, that’s okay, you can sign up for one online or request to attend one in-person. Also, it can help to make sure your partner is on board and understanding of your decisions. It would greatly help to have them attend or take the breastfeeding course with you. A supportive breastfeeding pillow can make a world of difference when breastfeeding. You can also use pillows and blankets you have at home by rolling them up, stacking or folding them to create supportive and comfortable props. This can help alleviate any shoulder or back pain from breastfeeding in an awkward position without support. Though it gets much much easier, starting out breastfeeding takes a lot of time and commitment. However, not everyone has a choice. While most new mothers can breastfeed, there are conditions that make it near impossible for some to do so. Mammary hypoplasia, is a condition where there breast tissue does not produce enough milk to sustain an infant, due to insufficient glandular tissue. * However, note that this condition is rare and difficulty in the first few days or weeks does not mean you have it. If you are concerned a lactation consultant can help you determine whether you do or not. Also, depending on a person’s condition or country they live in, some women don’t have adequate maternity leave or a supportive partner or family to help them and they may not have a work environment that is breastfeeding friendly, making it tough to do so. In the initial months, breastfeeding is a full time job (though it is not always respected or treated as such). It can start out with a bit of difficulty, but with preparation and understanding it can reach a point where it becomes super easy and second nature. So much so that you won’t need to carry along equipment or wash and sterilize bottles. It’s also extremely beneficial and lifesaving in emergency situations. Instead of a big heavy diaper bag, your load will be much lighter to carry and the long-term benefits you and your infant will receive are priceless.